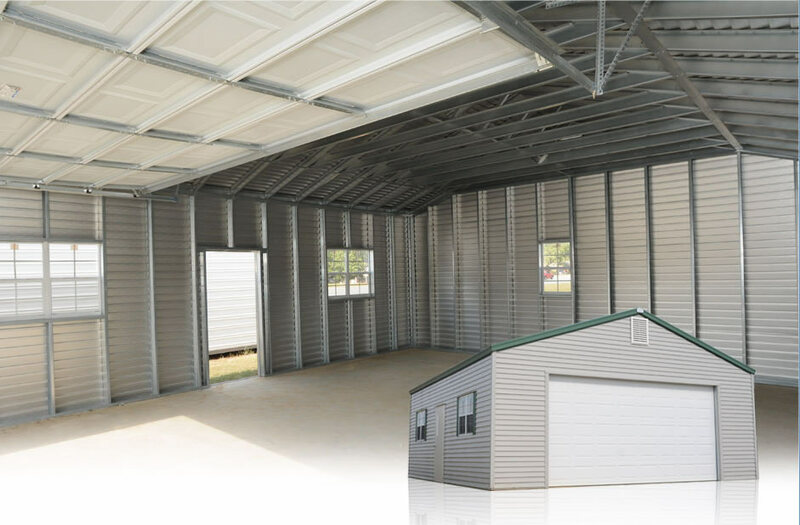 Daniel Aluminum Co specializes in large metal buildings useful for a number of applications. 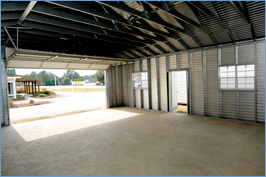 Our Frame Tech line of onsite built buildings are constructed from galvanized steel framing for superior strength and aluminum siding for long life and low maintenance. 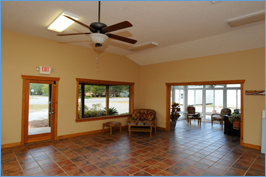 They comply with the 1997 Standard Building Code, 2003 International Building Code and the 2004 Florida Building Code. Standard sizes available range from 16 x 20 to 32 x 100, with wall heights ranging in most buildings from 8 feet to 10 feet. Our Frame Tech building can be easily customized to your specific needs with options including number of windows, roll-up doors, garage doors, personnel door, gable vents, etc. 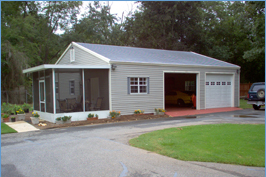 The exteriors of Frame Tech buildings are crafted of a tough, maintenance-free aluminum siding. The stucco-embossed siding is designed to be attractive for any application and comes in a variety of colors from which to choose. These buildings will never rust and the UV-protectant polyester paint reduces the fading effects from the sun. Once the order is placed, even custom designed buildings are delivered within 2-3 weeks, with on-site construction by our highly skilled crew completed in just a few days. Once the order is placed, even custom designed buildings are delivered within 2-3 weeks, with on-site construction by our highly skilled crew completed in just a few days. These buildings will never rust and the UV-protectant polyester paint reduces the fading effects from the sun. Once the order is placed, even custom designed buildings are delivered within 2-3 weeks, with on-site construction by our highly skilled crew completed in just a few days.